10% off for Elementary School Children / K-5 Classes!!! We have 2 programs running over the summer: (1) The Preschool Summer Literacy Camp and (2) The Elementary Summer Literacy Camp. Basic Steps literacy programs focus on advancing children’s literacy skills such as reading, writing, speaking, and listening. To learn more about the Preschool Summer Literacy Camp, click here. 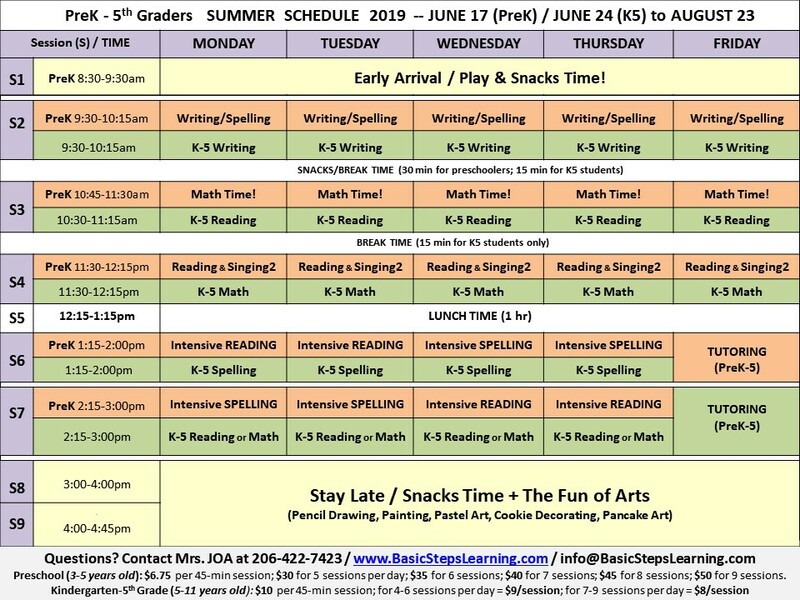 To learn more about the Elementary Summer Literacy Camp, click here. Please click on the picture below to view our 2019 summer schedule. To check out our summer calendar, please visit this page.